If you ask Tom Loventhal, a deli is no more than a place to provide customers with comfort food. And for nearly two decades, Loventhal has stayed true to his motto at his restaurant, Noshville Authentic New York Delicatessen (“nosh” meaning to eat), where he’s kept more than half of the same employees on the payroll for at least 10 years and one-quarter of his workers for nearly 15 years. Loventhal of course has his regulars, who he says come into the deli at least four times a week and take their usual seats at the counter, and he’s seen three generations of customers—the parents had kids, and now those same kids are having kids. 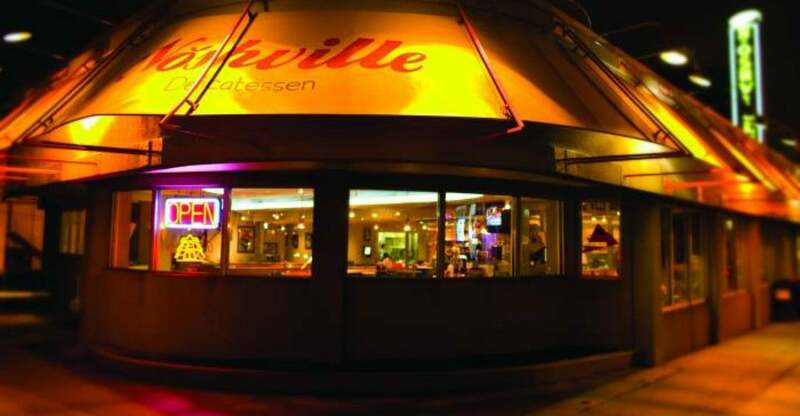 But come Dec. 27, the midtown Nashville location of the restaurant, one of two Loventhal owns, will be closing its doors in part because of Obamacare, he said. Loventhal originally planned to shutter the location within the first few months of 2016 after a developer purchased the building where Noshville’s has sat for the last 19 years. But when Loventhal learned he would be faced with the added expense of providing his more than 50 employees with health insurance come Jan. 1—he estimated it would cost between $70,000 and $100,000 annually—Loventhal decided to close Noshville’s doors before the provision of Obamacare overseeing businesses, the employer mandate, goes fully into effect. Under Obamacare’s employer mandate, businesses with more than 50 employees working more than 30 hours per week will be required to provide health insurance to its workers. On Jan. 1, 2015, the employer mandate went into effect for businesses with more than 100 employees, and on Jan. 1, 2016, those rules will apply for those with more than 50 employees. So far, the effects of the law differ according to who one talks to: President Obama and congressional Democrats argue Obamacare has caused the uninsured rate to drop to unprecedented levels. Republicans, meanwhile, say Americans are facing higher premiums and deductibles because of the law, and businesses are grappling with how to abide by its costly mandates. Black, who represents Nashville’s neighboring 6th Congressional District, spoke about Noshville on the House floor earlier this week and said the deli serves Democrats a “good meal and a healthy dose of reality” regarding the impact of the Affordable Care Act. Do they pass that [added cost] onto the employee? Do they take that up themselves? And many of them are saying, ‘Look, we’ve done that for the last couple of years where we absorb these increases, but we can’t afford to keep on doing that.’ And so they’re having to pass them on to the employees. In addition to Noshville’s decision to close, Black pointed to a recent report from the nonpartisan Congressional Budget Office as further proof of Obamacare’s negative effects on the labor market. According to the CBO, 2 million workers will decide to leave the workforce in 2025 because of the health care law and the incentives it gives people not to work. “Some people would choose to work fewer hours; others would leave the labor force entirely or remain unemployed for longer than they otherwise would,” the CBO said in its report. In an interview with The Daily Signal, Ed Haislmaier, a health policy expert at The Heritage Foundation, said the employer mandate’s impact on smaller businesses, or those with more than 50 employees, will likely vary by company. A 55-person law firm, for example, may not feel the effects of the law too strongly, particularly if the cost of health care goes up for its employees. By contrast, businesses like a restaurant with lower-wage workers and smaller margins would be impacted more. “It’s a significant increase in the business’ labor cost, and that may have an adverse affect on the economics and profitability of the business,” Haislmaier said. Some businesses, he continued, may be forced to alter their hiring practices or scheduling of employees to ease the burdens of the employer mandate. To mitigate the negative effects of the employer mandate, Haislmaier said the entire health care law would have to be dismantled, which Republicans in Congress have come one step closer to doing. Black and her fellow GOP lawmakers have been working to roll back the health care law since its implementation, and for the first time, the Senate passed a reconciliation package repealing key provisions of Obamacare, including the employer mandate. The Tennessee Republican said she’s confident the House will take up and pass the Senate’s version of the bill, sending the Affordable Care Act’s repeal to Obama. The government shouldn’t be telling people that this is what we’re going to require you to have when they know best what they need. One size does not fit all, and you shouldn’t be pushing everybody into this pipeline. Different needs, different costs, all of that should be considered by the individual, not the federal government.